Simmons & Company International, Energy Specialists of Piper Jaffray, proudly support the jaw dropping renovation of Wiess Energy Hall. Those of us working in the energy industry know how vast, exciting and critical it is. But energy can be hard to visualize sometimes. Since you don’t go to the store and buy it, consumers rarely get to see the time, effort and special technologies it takes to find oil and gas and process it into something we use every day. That will change today as The Houston Museum of Natural Science unveils the new Wiess Energy Hall. This hall brings our industry front and center through an incredible, $40 million dollar renovation that resulted in a plethora of exhibits. 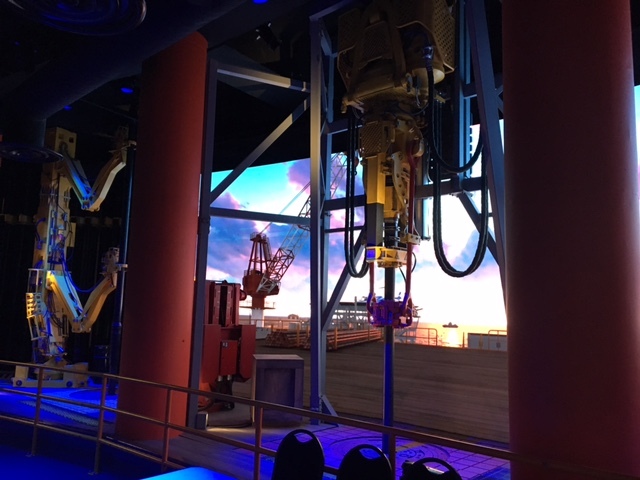 The hall will now be the most contemporary, comprehensive and technologically advanced exhibition on the science and technology of energy anywhere in the world. I am so proud Simmons & Company International is one of the over 35 sponsors of this incredible work. You enter the hall by stepping into our industry in an immersive way. Exiting the elevator, you walk onto a 21st century drilling platform 100 miles offshore in the Gulf of Mexico. Walk around the corner into the main hall and it’s hard to know where to look first. A huge state-of-the art video wall shows the evolution of the universe to current day in four minutes. You’ll see information on geology, microfossils, a gas turbine, the story of hydrocarbons and the world’s largest Tricone rotary drill bit —fourteen feet in diameter—that spins vigorously overhead. 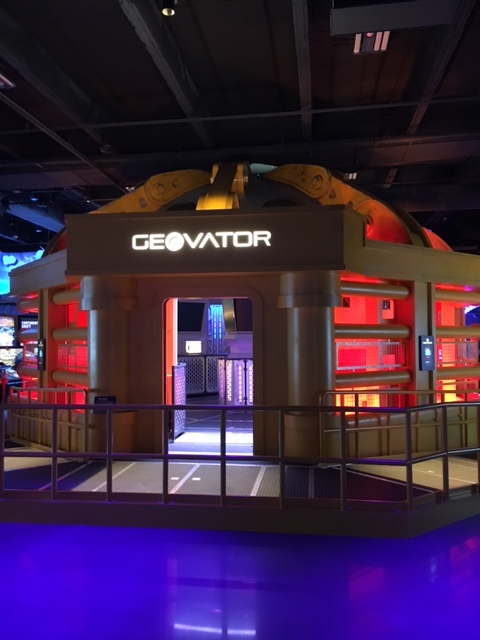 The Geovator ride takes visitors on a re-imagined fantastic voyage plunging down through the museum floor into the earth, then back in time to the Cretaceous Period for an attack by hungry pteranodons and a meteor strike. 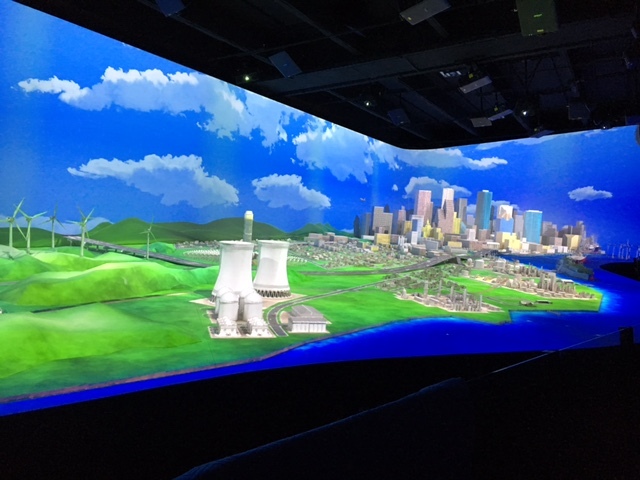 “Energy City” is a 2,500-square-foot 3-D landscape representing Houston, the surrounding Gulf coastal waters and the terrain of southeast and central Texas. This vibrant “white model” uses incredible projection mapping technology to bring to life the energy value chain. An “Energy Jukebox” features a collection of ten catchy songs that explore topics like conservation, renewable energy, unconventional hydrocarbons and thermonuclear fusion. And last but certainly not least – is the Careers In Energy section sponsored by Simmons & Company. Ingenuity is always in demand. The energy industry runs on the genius and hard work of a talented throng of people. This section is designed around a large touch screen which has an aptitude quiz. You answer a series of questions like – do you feel most accomplished when widening your perspective, working with your hands or using technology to create new things? Do you prefer working indoors or outdoors? Based on your answers, a friendly robot, codename J-085, will determine the best energy-oriented career path for you. Tapped to be a roughneck or an analyst? You’ll find out what they do, what they get paid, how many jobs like that are out there in the real world and what growth opportunities look like in 2024. 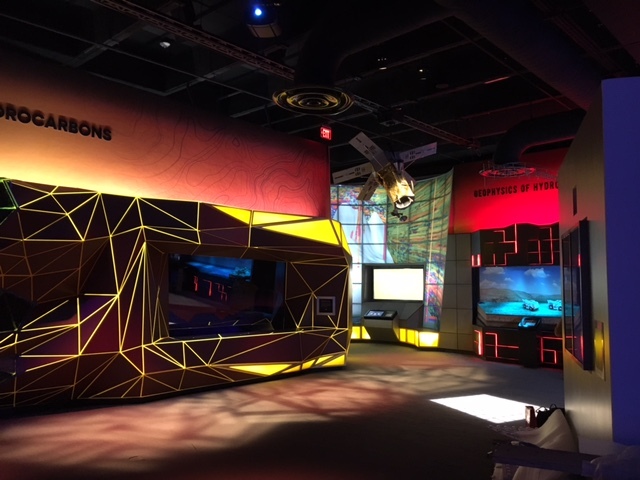 There’s also a screen with colorful post-it notes giving visitors a chance to learn more about a variety of energy jobs – from drafter and farmer to geoscientist and line worker. It matters what children are exposed to early in their lives and it’s important that we showcase all of the opportunities. Our society today consumes unprecedented amounts of energy, and as more of the world population raises their standard of living by consuming even more energy, we will rely even more heavily upon the people who make it happen. It’s exciting to see Houston get this renovated exhibit hall that showcases all our industry has to offer. I think it will be a game changer for the educational landscape of our city and I hope it inspires people to join us in the important work this sector does every day.